The Forum members decided on changes to the two week annual session. The first week was all open plenary meetings. There were no closed meetings during the first week. A condensed schedule during the first week enabled the Permanent Forum to discuss all substantive agenda items. 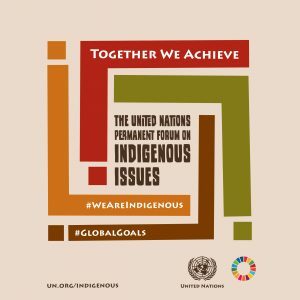 During the second week of the 2018 session of the Permanent Forum, members of the Forum held informal meetings with representatives of indigenous peoples, Member States and UN entities. The purpose of these meetings were to draw on information presented during the first week, and channel this into policy recommendations that are strategic, focused and actionable. Regional dialogues were also held during the second week. See the Concept Note for more details. Indigenous representatives, Member States and UN entities that were accredited to attend the 2018 session of the Permanent Forum were invited to attend these meetings. 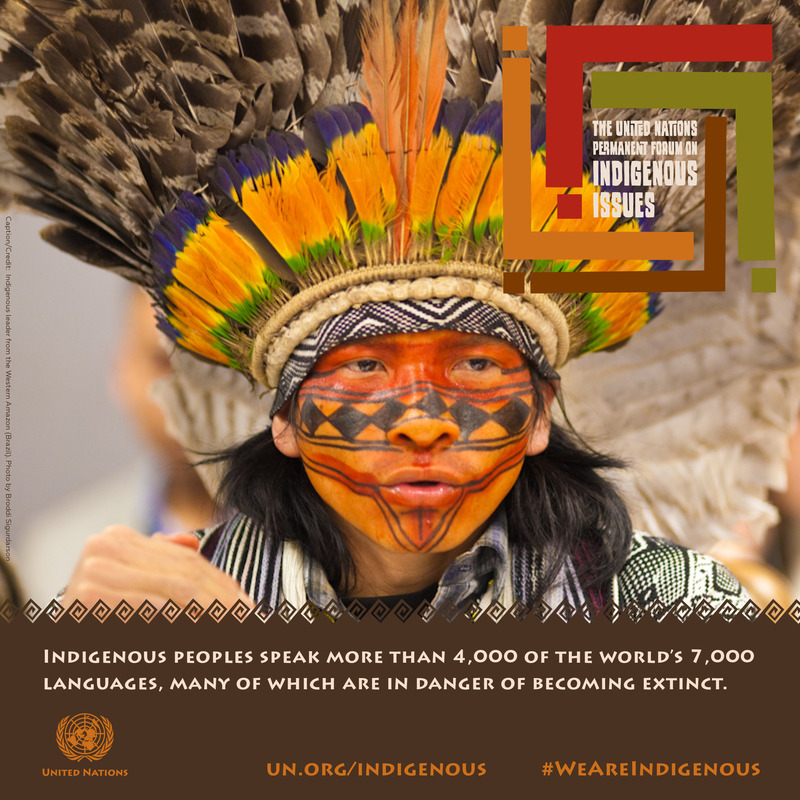 On Tuesday 17 April, from 3:00 to 6:00 p.m. at the UN Trusteeship Council Chamber, the President of the General Assembly conducted the first of three (2018, 2019, 2020) informal interactive hearings on the enhanced participation of indigenous peoples at the United Nations. This hearing was requested by the General Assembly in its resolution A/RES/71/321 and was open to indigenous participants accredited to attend the 2018 session of the Permanent Forum. 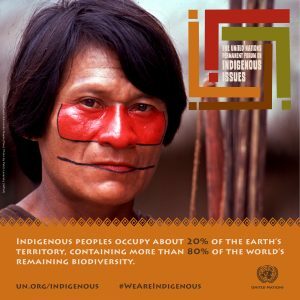 Expert group meeting on Sustainable development in territories of indigenous peoples (Article 4 of the UN Declaration on the Rights of Indigenous Peoples), UNHQ New York, 23 to 25 January 2018. Pre-sessional meeting of the Members of the Permanent Forum on Indigenous Issues will be held from 26 February to 3 March 2018 in Sucre, Bolivia. The pre-sessional meeting will be hosted by the Government of the Plurinational State of Bolivia. These internal discussions and deliberations of the Permanent Forum Members to prepare for the annual session are closed. 3. Follow-up to the recommendations of the Permanent Forum. 4. 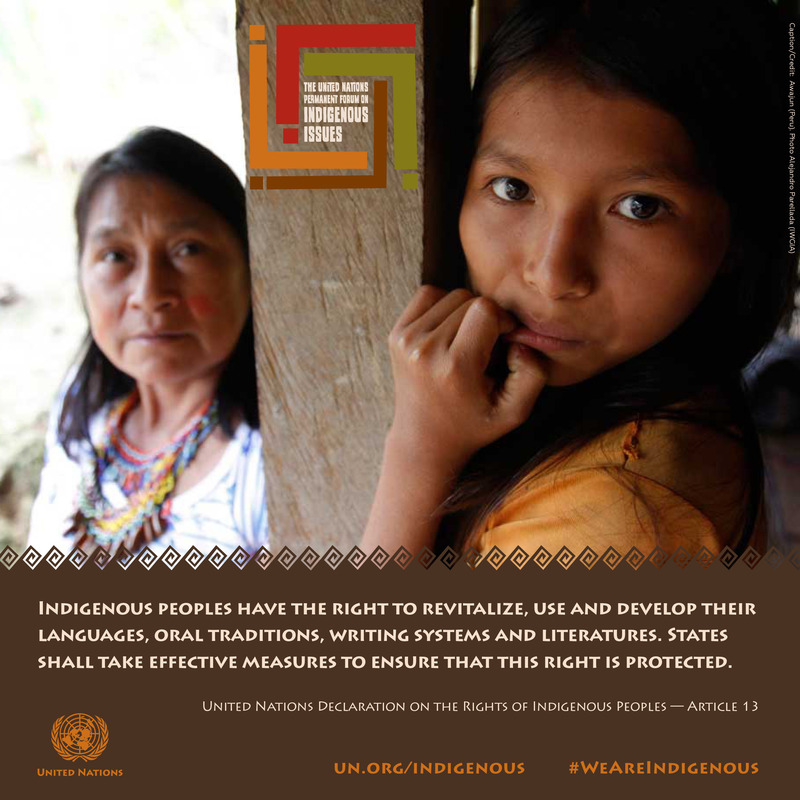 Implementation of the six mandated areas of the Permanent Forum with reference to the United Nations Declaration on the Rights of Indigenous Peoples. 5. Dialogue with indigenous peoples. 6. Dialogue with Member States. 7. Dialogue with the funds, programmes and specialized agencies of the United Nations system. 8. 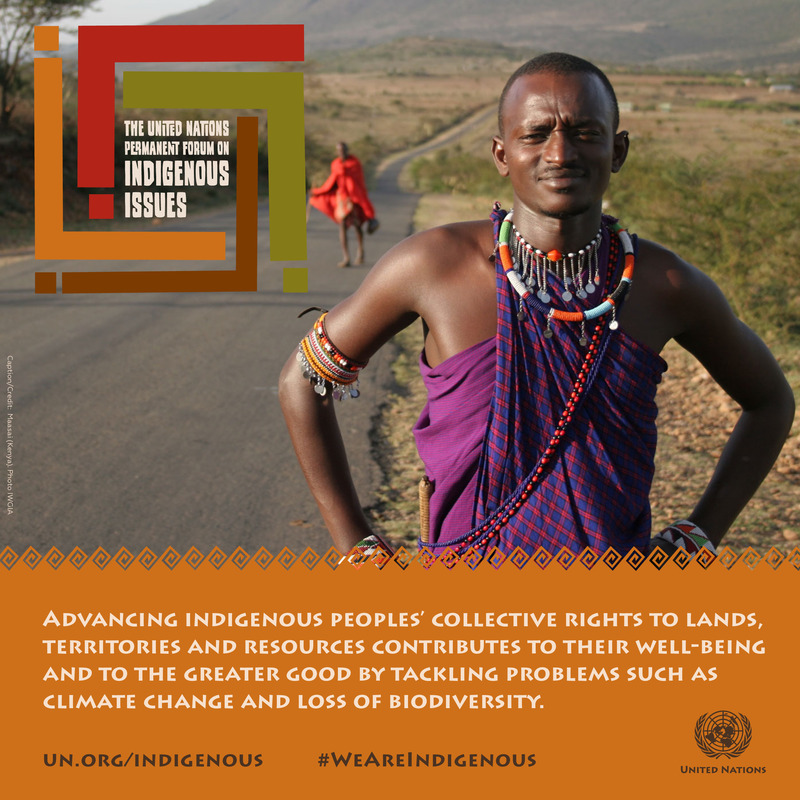 Discussion on the theme “Indigenous peoples’ collective rights to lands, territories and resources”. 9. 2030 Agenda for Sustainable Development. 10. 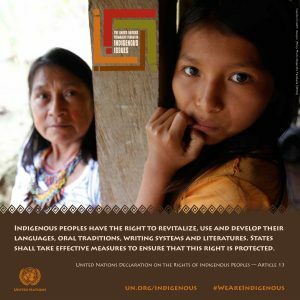 Dialogue with the Special Rapporteur on the rights of indigenous peoples and the Chair of the Expert Mechanism on the Rights of Indigenous Peoples. 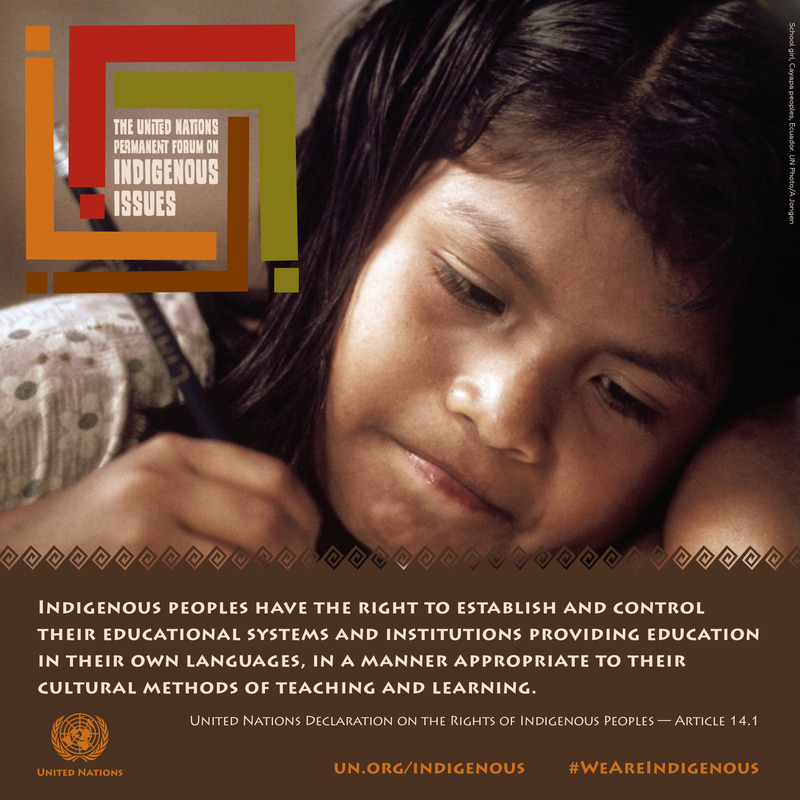 (c) Implementation of the United Nations system-wide action plan on indigenous peoples. 12. Future work of the Permanent Forum, including issues considered by the Economic and Social Council and emerging issues. 13. Provisional agenda for the eighteenth session. 14. Adoption of the report of the Permanent Forum on its seventeenth session. Fact sheet Maternal mortality & maternal health among indigenous women and adolescent girls. 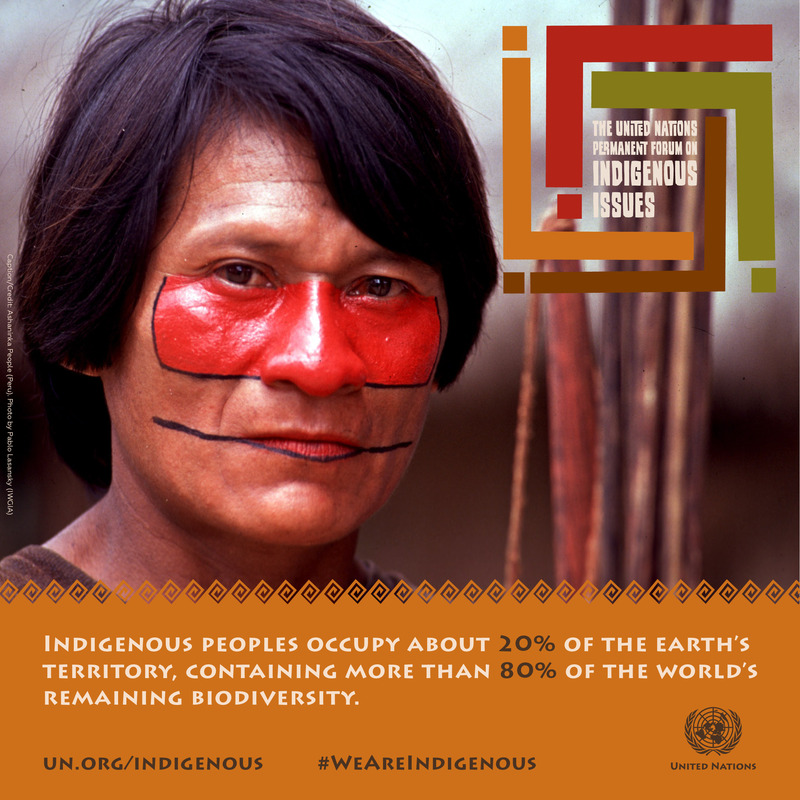 Indigenous Peoples, States, UN entities, National Human Rights Institutions are invited to participate. Participants whose registration has been approved need to register in person and pick up their grounds pass that allows access to UN Headquarters. Registration is in the UN Pass and ID office at 320 E. 45th Street (between 1st and 2nd Avenues). Sunday 15 April: 12 – 4 pm. Monday 16 April: 8 am – 4 pm. Tuesday 17 April: 9 am – 4 pm. Wednesday 18 April: 9am – 4 pm. Thursday 19 April: 9 am – 4 pm. Friday 20 April: 9 am – 4 pm. Monday 23 April: 9 – 11 am. Tuesday 24 April: 9 – 11 am. Wednesday 25 April: 9 – 11 am. Leaders or heads of organizations that are accredited to attend sessions of the Permanent Forum need to designate Conference Focal Points. Conference Focal Points are responsible verifying representatives of their organisation for registration to the Permanent Forum sessions. Sign up for speaker’s list and submission of written statements are now closed. All statements should be no longer than 3 minutes. This applies equally to Member States, indigenous peoples, UN agencies, cacuses, joint statements etc. Member States and UN entities should register via the e-deleGATE secure portal by Thursday 12 April. See UN Journal ‘Forthcoming Meetings’ section for detailed information. 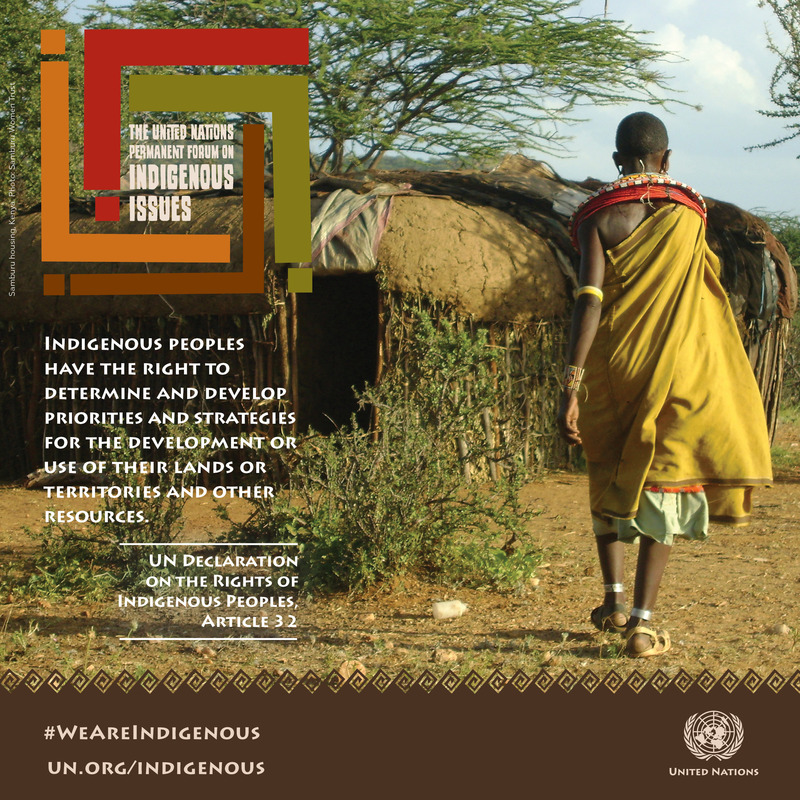 Participants are also invited to submit written statements to the Permanent Forum on Indigenous Issues here. Requests to hold a side event is now closed. Several side events take place at lunch time, evenings and during closed meetings of the Permanent Forum both on and off UNHQ premises. They are organized by Indigenous Peoples Organizations, Member States, UN entities, intergovernmental organizations, NGOs and others. Organizations convening side-events and all co-sponsors need to be accredited to participate in the 17th Session of the Permanent Forum. Organizations must bear ALL costs incurred for technical services, equipment and security provided, unless otherwise indicated in their application form. Each Conference Room includes a Power Point projector and screen, as well as audio and microphones (all per request). Side-event organizers should bring their own laptop computers with appropriate adapters (VGA or HDMI cables) for Power Point presentations and other audio/visual media. Refreshments are optional. Side-event organizers should contact the Official UN Caterer, Culinart Group (www.culinartgroup.com or Catering-Services@un.org) for more information. Food is not allowed in Conference Rooms, but only in areas designated by Culinart. For Live Webcasting/Audio recording services, please contact Valerie Justin (justin@un.org). Additional costs involved. If you would like for us to upload a flyer of your event, the file size has to be 5 MB or less. Otherwise, send us a sharable link. Partner with Governments, UN agencies and civil society organizations. Provide detailed information about your side-event on your website and send us the link for us to post on our website. Prepare flyers for your side-event and make the Permanent Forum Session. Network with other NGOs and delegates and invite them to attend your event. After your event, send us a short summary (150 words) to include on our website. No items are to be sold on the premises of the United Nations. No luggage is permitted on the United Nations premises. No items are to be affixed to any walls, doors or painted surfaces by any means. The United Nations will not be responsible for damage to or theft of personal items. Cooperation with the UN Security Service and other Secretariat staff is highly required. When materials are brought into or removed from the United Nations, measures must be taken to ensure that the floors, walls, door frames of the area are not damaged, e.g., no heavy loads should be dragged across the floor; dollies should have rubber, not metal wheels. The Global Indigenous Youth Caucus will have its preparatory meeting on April 15, 2018, from 9:00 am to 4:00 pm, at 1 East 42nd Street, 12th Floor, New York. Register here. For more information please contact Mr. Q”apaj Conde (qhapaj.conde@gmail.com), Ms. Petra Laite (petra.laiti@gmail.com) and Mr. Duane Fraiser (duane.fraser01@gmail.com). The Indigenous Fair will be held on Wednesday, April 18, 2018 from 10:00 a.m. to 7:00 p.m. on the 2nd Floor of the Church Center for the UN (777 UN Plaza, corner of 44th Street and 1st Avenue). For more information please contact Ms. Esmeralda Brown at esmeraldabrown@aol.com. My organization is interested in attending the next session of the Permanent Forum. Can we participate? 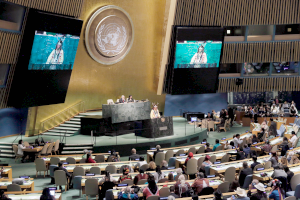 Participation in Permanent Forum sessions is open to indigenous peoples’ organizations, NGOs in consultative status with ECOSOC and academic institutions. All participants need to pre-register for the sessions of the Permanent Forum. The sessions of the Permanent Forum tend to take place in April or May each year. Online pre-registration begins in January or February on the website of the Permanent Forum. Pre-registration closes about 2-4 weeks before the session starts. My organization attended previous sessions of the Forum. Do we still need to pre-register? Yes. All accredited organizations interested in attending the next session of the Forum are invited to pre-register. In addition, all representatives of accredited organizations are requested to register at their arrival at the United Nations before attending the session. My organization enjoys consultative status with ECOSOC, but we have not received an invitation to attend sessions of the Permanent Forum. How can we pre-register? All interested NGOs in consultative status should use the online pre-registration system to apply to attend the session. We do not encourage attendance of sessions of the Permanent Forum without pre-registration. All participants, including those from organizations enjoying consultative status with ECOSOC and holding annual ground-passes, are strongly encouraged to pre-register and register at the site of sessions of the Permanent Forum. The United Nations Secretariat will not be in a position to register participants who did not pre-register before the opening of the session. Can my organization make a statement at the Permanent Forum session? During previous sessions the Permanent Forum, representatives of NGOs and indigenous peoples organizations have made presentations. Most of the organizations that have addressed the Forum do not enjoy consultative status. In other words, all participants registered to attend the session may make oral presentations, depending on availability of time. Will the United Nations help me with my visa to New York? Arrangements for travel, including visa procedures, accommodation and transportation are the responsibility of IPOs, NGOs and other interested organizations. Representatives of participating organizations need to deal directly with United States embassies/consulates in their countries of residence regarding visa issues. The United Nations will send a confirmation letter to IPO or NGO representatives once they have been pre-registered. This confirmation letter may be used by IPO or NGO representatives to request a visa from United States authorities. If necessary, the Division for Social Policy and Development will assist in providing information regarding the status of NGOs and IPOs at the request of American authorities. However, the United Nations does not send unsolicited correspondence to United States embassies/consulates to validate a request made by an NGO or IPO representative to obtain a visa. Does the United Nations provide funding for IPOs and NGOs to attend the Forum? The only UN source of funding for travel to participate in the sessions of the Permanent Forum is the Voluntary Fund for Indigenous Populations. Please note that applications close in October of the year preceding the Permanent Forum’s Session. During previous sessions the Permanent Forum, representatives of NGOs and organizations of indigenous populations have made presentations. Most of the organizations that addressed the Forum do not enjoy consultative status. In other words, all participants registered to attend the session may make oral presentations, depending on availability of time. Can I submit a written statement or report to the Permanent Forum? Indigenous organizations and NGOs have occasionally submitted reports to the Permanent Forum in the past. If your organization is interested in doing so, then you are advised to contact the Secretariat of the Permanent Forum and discuss the possibility of submitting such a report. The deadline for these reports/statements is 31 January of each year. For further information about submitting reports, see the below excerpt form ECOSOC resolution 1996/31. Please click here for information regarding accommodation and transportation in New York City. Arrangements for travel, including visa procedures, accommodation and transportation are the responsibility of NGOs and IPOs and other interested organizations. Representatives of participating organizations must deal directly with United States consulates in their countries of residence regarding visa issues. The United Nations will send a confirmation letter to NGO and IPO representatives once they have been pre-registered. This confirmation letter may be used by NGO and IPO representatives to request a visa from American authorities. The only UN source of funding for travel to participate in the sessions of the Permanent Forum is the Voluntary Fund for Indigenous Populations, which is managed by the Office of the UN High Commissioner for Human Rights. Please note that applications close in October of the year preceding the Permanent Forum’s Session. Please click here for more details. 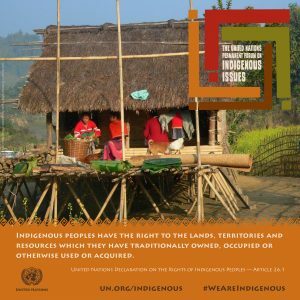 13 April 2018: Indigenous peoples’ rights to lands, territories and resources at the centre of UN annual forum. In French. 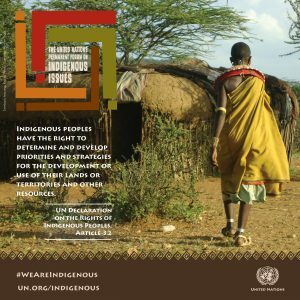 27 April 2018: UN Forum calls for measures to advance indigenous peoples’ collective rights to lands, territories and resources. In French. 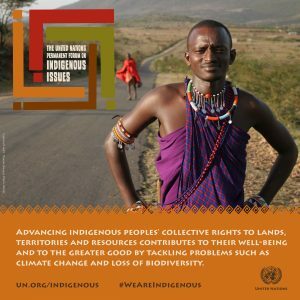 UN News Report: Protect indigenous people’s land rights and the whole world will benefit, UN forum declares. In French. 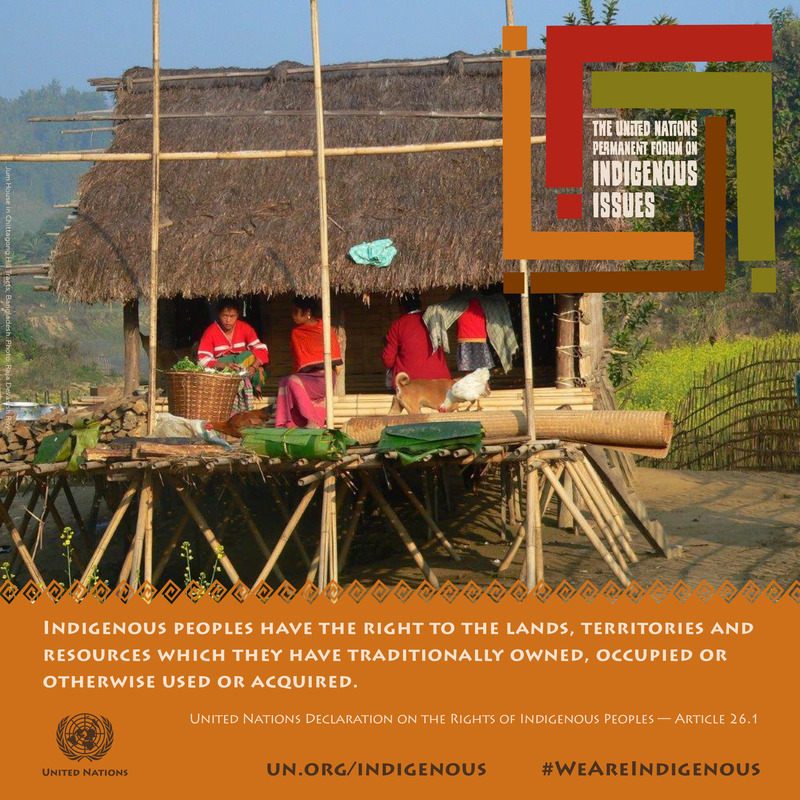 Indigenous peoples’ collective rights to lands, territories and resources. In French, Russian and Spanish. Indigenous languages. In French, Russian and Spanish. To contact the Secretariat of the UN Permanent Forum on Indigenous Issues, please contact Mr. Broddi Sigurdarson (sigurdarson@un.org) or Mr. Prabindra Shakya (shakya@un.org) – UN Department of Economic and Social Affairs. Following the positive experiences in 2017, Secretariat of the Permanent Forum (SPFII) and Department of Public Information (DPI) will organize an Indigenous Media Zone during the 17th session of the Permanent Forum in 2018 to allow indigenous media, journalists and platforms an opportunity to report on the session through indigenous worldviews, perspectives and languages and organize media events around the theme of the session – “Indigenous peoples’ collective rights to lands, territories and resources” and contribute to the deliberations of the Forum. The events will be around the theme of the Permanent Forum session and issues related to the agenda of the session. In the context of increasing global discourse on the 2030 Agenda for Sustainable Development, events around the 2030 Agenda will also be included. Detailed events of the programme will be designed in collaboration with indigenous media groups and networks and updated regularly. Following events were live streamed on the Facebook page of UN Department of Economic and Social Affairs and on UN Web TV (being updated). We’re live again from the Indigenous Media Zone at UN Headquarters in New York! 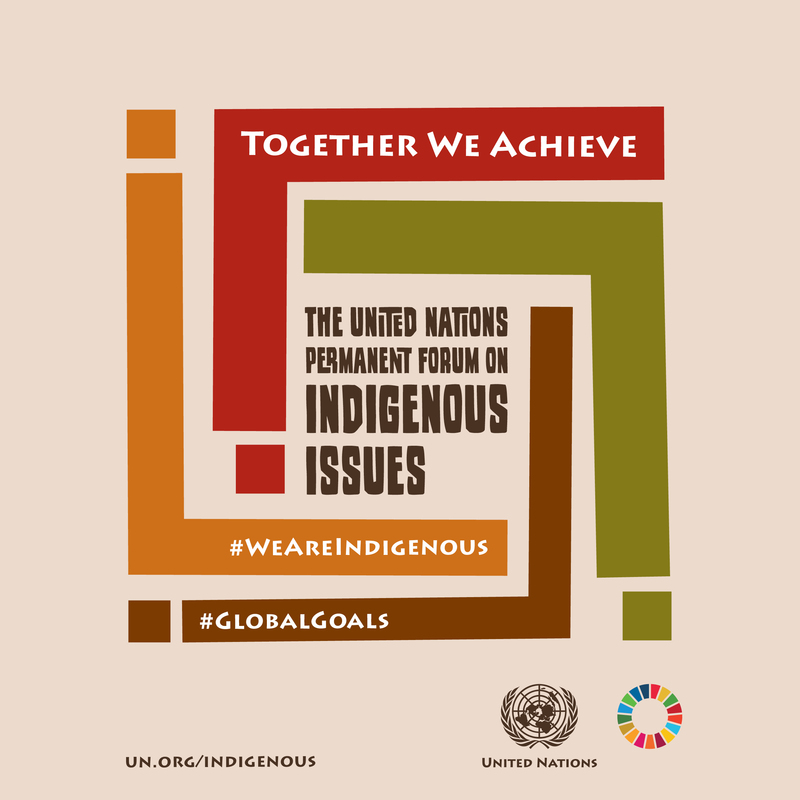 This time, we’re honing in on indigenous youth and the Sustainable Development Goals! Hear from our young experts: Q”apaj Conde, Global Indigenous Youth Caucus (Latin America), Qivioq Nivi Løvstrøm (Arctic), and Victor Lopez-Carmen (North America); moderated by Andrea Ixchiu (K'iche Guatemala). We’re live again from the Indigenous Media Zone at UN Headquarters in New York! Hear our expert panel discuss conservation programmes and the rights of indigenous peoples.Joining us today are:- Elifuraha Laltaika, Expert Member, UN Permanent Forum on Indigenous Issues (Tanzania)- Joji Carino, Forest Peoples Programme (Philippines)- Rodion Sulyandziga, Centre for Support of Indigenous Peoples of the North (Russia)Today’s discussion is moderated by Laetitia Zobel, UN Environment Programme (UNEP). See media events organized by indigenous community media NOTIMIA Agencia de noticias por mujeres indígenas y afrodescendientes on their Facebook page. The primary users of the Indigenous Media Zone will be indigenous media, journalists, bloggers, advocates and spokespersons, from both national media and community media. Non-indigenous media, including UN correspondents, will also be invited to join the media zone, particularly for the main panels and interviews, and to encourage meaningful networking with indigenous media and channel the voices of indigenous peoples into mainstream media. The Indigenous media zone will be located in the UN Correspondents Association Room from Monday, 16 April 2018 to Friday, 20 April 2018. The space will be open from 9:00 am to 6:00 pm. The Indigenous Media Zone is organized by SPFII and DPI, in cooperation with indigenous media groups and networks and other UN entities. Journalists without UN credentials who wish to attend the UNPFII sessions with professional equipment should submit an online application on the Web site of the Media Accreditation and Liaison Unit: http://www.un.org/en/media/accreditation/request.shtml. They will need to upload a letter of assignment on official letterhead from a bone fide media organization, signed by publisher, assignment editor or bureau chief, saying that the journalist is assigned to cover the UNPFII session. Approved applicants will receive an email confirmation with instructions for picking up the credentials. Individuals with NGO accreditation will not be issued press credentials. Letters of assignment from NGOs will not be accepted for press credentials. With out media accrediation, indigenous community media will not be able to bring professional cameras and equipment in to the United Nations.